To ensure that I’m keeping up with the most current medical knowledge, I reference the online service UpToDate and read publications such as the New England Journal of Medicine. My professional organizations, such as the American Medical Association and the Alliance for Academic Internal Medicine, also put out valuable information. I’m particularly interested in medical education and have always valued lifelong learning. I was born and raised in Poland, where I attended the Medical University of Warsaw. My parents and siblings were instrumental in my success, by supporting and encouraging me throughout the course of my education. While participating in an international student exchange program, I lived in Malaga, Spain, for a year and met my future husband, who grew up in Hawaii. Now we both work on Oahu as physicians, giving back to the community where he was raised. From early in my life I was fascinated with science. The complexity of our surrounding universe was always interesting to me. Practicing medicine, an ever-evolving field that combines the technical and the personal, is a very fulfilling job. Internists handle complicated cases that require a large dose of curiosity and meticulous investigation. I see my patient’s condition as a puzzle with a priceless reward at the end—improving the quality of life of another person. My professional interests include pulmonology and infectious disease. At Warsaw International Medical Congresses I gave presentations on vitamin D, liver inflammation, and the relationship between blood clots and liver cancer. I was also honored by the organization with the top award for my presentation on infectious diseases. My membership in the American College of Physicians helps me stay current in general medicine. I also take continuing medical education courses, read medical literature online sites PubMed and UpToDate, and gather information from medical journals such as The New England Journal of Medicine, the Annals of Internal Medicine, and the Journal of the American Medical Association. The Hawaii Permanente Medical Group is attractive to me as a place to practice because it provides physicians access to research projects, a nurturing environment for personal and professional growth, and helpful resources and tools for the benefit of the patients. Primary prevention and patient education are, in my opinion, critical components of the treatment process. I strive to listen carefully to my patients so that I can hear their concerns and meet their individual needs and expectations. The natural beauty of Hawaii serves as therapy for me and helps me to maintain physical and emotional well-being. To stay healthy, I run, hike, sail, windsurf, practice yoga and archery, and try to follow a plant-based diet. My other leisure activities include painting and spending time with my friends and family, preferably at the beach. I was born in Mountain View, California, and raised in Busan, South Korea. 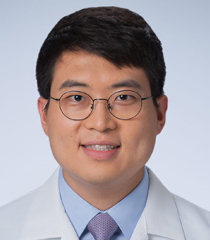 After going to high school at the Korea Science Academy in Busan, I returned to the U.S. for undergraduate study at Northwestern University in Illinois. I then did my medical schooling at Yonsei University College of Medicine back in South Korea. As a first generation immigrant to the U.S., I find great value in the cultural and ethnic diversity in this country, particularly in Hawaii. 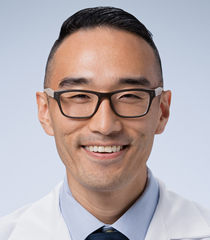 Receiving my internal medicine training at Kaiser Permanente in Hawaii allows me to provide care to people from a wide range of backgrounds and occasionally even speak Korean, my native language. I was born in Honolulu and lived in several communities on Oahu including Liliha, Punchbowl, and Hawaii Kai. I went to Mid-Pacific Institute and the University of Hawaii, where I earned my Bachelor of Science. For my medical education I went to Chicago Medical School. My own illness and subsequent treatment inspired me to study medicine. I experienced the good that medical professionals do for others, and I knew that I wanted to have a career that allowed me to make the same positive impact on people’s lives. I chose internal medicine for my specialty because I love the challenge of diagnosing and treating complicated conditions. This field also allows me to see a wide range of patients and to develop relationships with them over time. 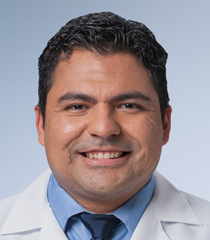 To stay current in my field and in medicine overall, I use the online services UpToDate and PubMed, read various professional journals, participate in continuing medical education programs, and consult my colleagues in different specialties. My memberships in the American Medical Association and the American College of Physicians, organizations that are educational in nature, also provide me access to information on the latest research and treatment recommendations. 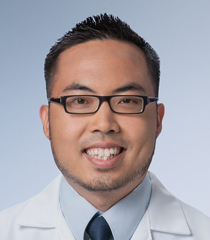 My decision to pursue my internal medicine residency at Kaiser Permanente was based on the organization’s emphasis on primary care and on the enthusiastic recommendation of the program’s current residents. It’s a pleasure to be back home among the diverse communities in which I grew up. I even get to use my Cantonese now and then! I always try to relate to the concerns and experiences that my patients share with me. My philosophy of care is to be kind and respectful and to ensure that all of their needs are attended to. To de-stress and stay in good physical condition, I run five miles a day before work. I tell my wife all my problems, and I take time out to watch movies. I also enjoy being with family, participating in various sports, watching sporting events, hiking, dining, shopping with my wife, and traveling. I was born in Taiwan and came to Hawaii when I was five years old. My parents have been a great influence on me. They have an amazing work ethic and always think of others first. My older brother also inspired me, as he was the first in our family to become a physician. I attended Kahuku High School on Oahu and earned my bachelor’s and master’s degrees from the University of Hawaii. I went to medical school at the University of Hawaii, John A. Burns School of Medicine. Coming out of college with a degree in chemistry, I knew that I wanted a career in science, but I couldn’t decide which one. My brother, who was in medical school at the time, persuaded me to do some volunteer work that would give me an idea of whether I, too, would enjoy medicine. That push started me on my path to becoming a physician. 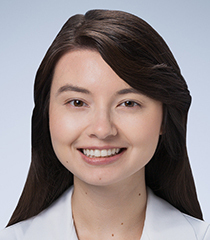 I’ve chosen internal medicine for my residency training, because I really enjoy connecting with people and helping them to manage their health issues. I hope to eventually become a primary care physician. I look forward to the many opportunities I’ll have as a resident to connect with the people of Hawaii, both through Kaiser Permanente and as a member of the community. To stay current in medicine, I read the Journal of the American Medical Association (JAMA), the AMA news services, and the online resource UpToDate. My membership in the AMA, an educational and professional organization, also gives me access to critical information. I grew up as a Kaiser Permanente member and was always impressed with the care provided to my family and me. I had the same physician for more than 20 years, and I hope to establish that same sort of bond with my own patients over time. When I was considering doing my training here, it was also encouraging to hear great things about the program from the current residents. As a resident, I’m still working on developing my philosophy of care, and at this point I’m keeping an open mind. I’m working on building rapport with patients quickly in order to be able to take proper care of them. I see each patient as a mentor to me in this area. To stay in shape and to be healthy both physically and emotionally, I exercise, work on my family’s farm, and practice tai chi. To relax, I enjoy hanging out with my family and friends. I was born in Hawaii and later moved to the mainland as a toddler, growing up in Texas and Nevada. My parents were always supportive of me no matter what career path I considered. I ultimately chose medicine, in part to be able to care for them in the future. I earned my Bachelor of Arts at The University of Texas at Austin and my medical degree at the University of Nevada School of Medicine. All my life I had heard about the place of my birth—the beaches, the weather, the food, and, most importantly, the friendly, industrious people. These stories inspired me to come to Hawaii for my internal medicine internship and residency. The other primary reason I decided to pursue a career in medicine was the opportunity to make a positive impact on the lives of people in my community. I chose internal medicine as my specialty because this field is the basis of so many subspecialties. It’s analytical and diverse, and will allow me to form long-lasting relationships with my patients. I’ve given scientific presentations at medical conferences on topics including hernia repair (Society of American Gastrointestinal and Endoscopic Surgeons), preventing hepatitis C in drug users (Reno Research Day at the University of Nevada School of Medicine), and traumatic brain injury (Radiological Society of North America). To stay current in my field, I read the New England Journal of Medicine, the American College of Physicians’ Annals of Internal Medicine, the Journal of the American Medical Association, and the online resource UpToDate. Membership in the American Medical Association and the American College of Physicians also provides me access to the latest information in medicine. I decided to do my medical residency at Kaiser Permanente in Hawaii because of the supportive faculty and dedication to resident education. I could see that the residents here were happy and hardworking and that this was a reflection of the organization as a whole. I felt that this was a place where I could flourish. I was also happy to be working with a diverse population and occasionally have the opportunity to speak Korean. Medicine is more than a science, it’s about the people. In my opinion, trust and effective communication between patient and physician are vital to providing high-quality care. I stay physically and mentally healthy by running, working out, and generally staying active. In my spare time I like to watch movies and try out new restaurants. I chose internal medicine as a specialty, because there’s always something new to learn in this field. This practice also allows me the opportunity to form lifelong relationships with patients and to help them achieve a good quality of life. 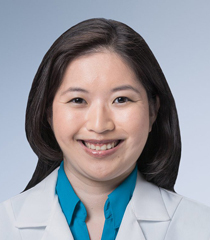 I was interested in the residency program at Kaiser Permanente Hawaii Internal Medicine Residency Program because of its emphasis on ambulatory medicine and primary care. Some of my favorite leisure-time activities are exploring new places and searching for amazing foods to try. I also enjoy cooking and baking and doing arts and crafts. Most important to me is spending quality time with my family and friends. I was born in Seoul, Korea to parents who dreamt of a life full of opportunity. They came to America as foreign students and fell in love with Hawaii. When I was six, we emigrated here and made it our home. I attended Punahou School and feel so fortunate to have grown up in a warm and caring community. I earned my Bachelor of Arts at Yale University, a Master of Science from the University of Hawaii, and my medical degree from the University of Hawaii John A. Burns School of Medicine. After graduating, I did a transitional year internship at Legacy Health in Oregon and a residency at Oregon Health and Science University in anesthesiology. My parents are my true heroes. They both sacrificed so much to help me pursue my dreams, and I’m forever grateful to them. My mother had hoped to become a physician herself, but life had other plans for her. Watching her pore over her medical text books as I was growing up, made a big impression on me, and I ended up following the path she would have taken. Medicine’s a wonderful way to make a positive difference in the world. 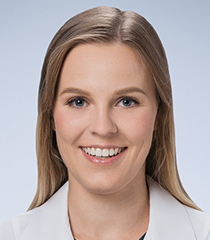 The field of internal medicine allows me to develop lasting relationships with my patients and to contribute to their well-being through prevention, education, and a holistic approach to treatment. I co-authored a study on video laryngoscopy in an obstetric unit that was published in the journal Anesthesia and Analgesia and was cited online on the PubMed website as well. I stay up-to-date on the latest developments in medicine by taking advantage of technology. I also receive noteworthy publications and practice updates by email, read medical journals, attend professional conferences, participate in continuing medical education programs, and consult my colleagues. Kaiser Permanente’s spirit of excellence, innovation, and concern for its patients, along with the amazing people who work here, were what sold me on becoming part of the Kaiser Permanent Hawaii Internal Medicine Residency Program. It’s a pleasure and a privilege to come to work every day. It’s my view that the physician and patient should be partners working toward a common goal of wellness. Patients deserve to be heard and understood as individuals with rich and complex lives. Eating a wholesome diet, getting good sleep, unplugging from technology, spending time with family and friends, working out, and being out in Hawaii’s natural beauty all help me to feel my best. In my spare time I also play the piano and practice meditation, yoga, and kickboxing. I enjoy cooking, watching kung fu movies, playing video games, and trying new things. I especially love playing with my son and experiencing the world through his eyes. I was born and raised in the Lincoln Heights area of East Los Angeles. I got my bachelor’s degree from Harvey Mudd College and earned my medical degree at the Charles R. Drew/UCLA Medical Education Program (CDU). My parents consistently displayed selflessness and generosity when raising my siblings and me. My brother and sister have been there for me my entire life, giving me a priceless sense of safety. My grandmother had faith in me and encouraged me to become a physician. Going to Hawaii felt like a once-in-a-lifetime opportunity to train in an innovative residency program while also serving a community in need of physicians. Before coming to Hawaii, I participated in the Harbor/UCLA Summer Urban Health Fellowship program, the UCLA Student Run Homeless Clinic, the Minority Health Conference, and CDU’s Project Santa Claus. After graduating from college with a degree in economics, I worked in banking. Although I enjoyed the work, I believed that I had another calling, and after much reflection I decided on a career in medicine. It was the best decision I’ve ever made. My goal is to be a physician who thoroughly understands the issues that bring patients to me and to make effective decisions based on that knowledge. Internal medicine encourages curiosity and taking a comprehensive view of the patient that can include complex social, emotional, and economic issues. 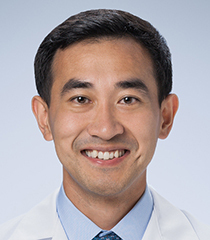 I think the Kaiser Permanente Hawaii Internal Medicine Residency Program is one of the most unique programs in the country, built on a foundation of high-quality primary care. The people here are welcoming and kind, and I want to give back as much as I can. I hope to work with the homeless community and to help inspire youth to become excited about science and health. Today’s technology is terrific at keeping us up-to-date with medical research. There are electronic journals, resources that summarize journals, and guidelines that further distill those journals into practice. I love learning and find advances in medicine fascinating. I bond with my patients by being honest, reliable, and interested. It’s a privilege for me to hear about their lives and experiences. Based on what I learn, I strive to work in partnership with them to come up with the best personalized plans for their health and well-being. Going out into nature is great way to stay physically and mentally healthy. I enjoy eating good food, swimming, working out, reading, getting to know new people, and learning to play the guitar. I also love exploring Oahu and learning new things about this island! I was born in California and moved to Hawaii with my family when I was five years old. During my childhood, I lived in several Oahu communities and attended Punahou School before going back to the mainland for my undergraduate education. I got my Bachelor of Science and Master of Business Administration at Embry-Riddle Aeronautical University in Florida, and for my medical degree, I went to the Universidad Autonoma de Guadalajara in Mexico, where I learned to speak fluent Spanish. My family’s been an amazing influence, providing me with unlimited support and love my entire life. 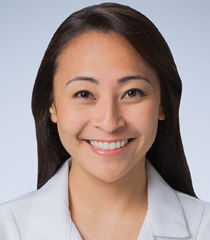 I chose a career in medicine because of my long-held desire to serve others in the best way that I could, and there seemed to be no better way to spend my time in this world than to serve my community as a physician. I’ve found internal medicine to be a fascinating field that includes diagnosing, treating, and managing a wide range of illnesses. I love seeing the full course of a patient’s care from beginning to end, and the feeling is incredible when I know that my actions have had an immediate positive effect on someone’s life. Caring for patients through their recovery process and watching them go home feeling grateful and in good health is the most rewarding feeling. To keep up with developments and the latest research in medicine, I like to use a wide variety of sources, such as the Cochrane Library, UpToDate, and the New England Journal of Medicine. 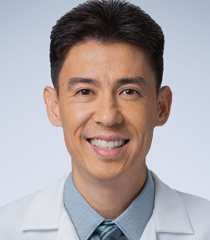 Doing my residency at Kaiser Permanente in Hawaii is a unique opportunity for me to work in a top-rated program, to return to the place that I love, and to become a part of the community I wish to serve. 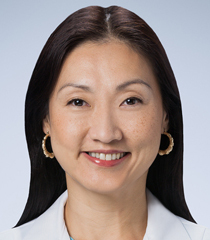 To provide the best care, I believe that physicians must build trust by first establishing good communication with their patients, getting to know them as individuals, and inviting them to be partners in decision-making about their health. I look forward to meeting people inside and outside of the hospital and hope to become known as their helpful doctor. To stay physically and mentally healthy, I make sure that I exercise as often as I can, whether it’s weight lifting, running, biking, boxing, or martial arts. Outside of the clinic, I relax by reading, going to the beach, and spending time with my friends and family. I was born and raised in a rural town in North Carolina. My family’s always been a strong positive influence on me, supporting me through life’s challenges and encouraging me to achieve my goals. I earned my Bachelor of Science at the U.S. Military Academy at West Point and completed a Master of Science at Georgetown University. I then got my medical degree at the Uniformed Services University of the Health Sciences in Maryland. I came to Oahu for several clinical rotations, and after doing a surgery internship at Kaiser Permanente Hawaii, I knew that this is where I wanted to live and work. While I was overseas with the military, I saw the good a doctor can bring to a community. The act of taking time to listen to someone's needs and providing comfort, extending advice, and distributing simple remedies meant the world to people lacking even the most basic services. That experience gave me a feeling of fulfillment I had never experienced, and I realized then that medicine was my calling. 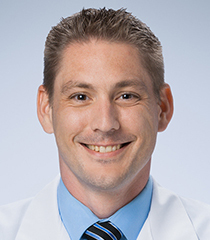 I decided to specialize in internal medicine because of the opportunity this field provides for ongoing relationships between physicians and patients. A deeper understanding of a patient can help ensure a better overall experience. My specific interests include critical care, nephrology, complementary and alternative medicine, and sleep medicine. My research on vitamin D and sleep disorders was published in the journal Sleep Medicine. To keep up with current developments in medicine, I consult various online sources, read journals that publish new research findings, and collaborate with peers and supervisors. My decision to join Kaiser Permanente was influenced by its culture of collaboration and support that I observed both inside the organization and in the community. 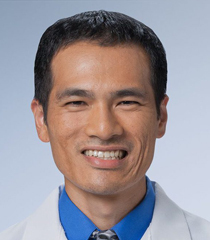 I believe that the Kaiser Permanente Hawaii Internal Medicine Residency Program offers a great opportunity for a physician to grow professionally and provide quality care to the people of Hawaii. In order to determine health goals and treatment plans that are appropriate to a patient’s lifestyle and unique needs, it’s important to establish trust. Best of all is when doctor and patient work as a team toward the common goal of optimal health. In order to stay physically and mentally healthy, I go running, hiking, surfing, scuba diving, and motorcycle riding. Being outside, experiencing the natural beauty of the Islands is one of my favorite ways to relax and rejuvenate. I also enjoy spending quality time with friends and family, reading fiction, streaming new shows, and traveling internationally. I was born in Tokyo, Japan and moved to Hawaii at the age of one because my parents wanted my sister and me to grow up bilingual and believed that Hawaii would provide a nurturing environment for us. Watching my parents turn their hope of a life in America into a reality has inspired me to be determined and resilient in following my own dreams of becoming a physician. I obtained my Bachelor of Science at the University of San Francisco and returned to Hawaii to earn my medical degree at the University of Hawaii, John A. Burns School of Medicine. Without the love and support of my family, I would not be where I am today. Pursuing a career in medicine started off as a childhood fantasy. I was in awe of doctors, who appeared like superheroes that could cure sickness. As I grew older, I became fascinated with the human body and its intricate systems. This passion, combined with my love of people and my innate desire to help others, made it evident that becoming a physician was my life’s calling. I chose internal medicine for my specialty because of the breadth of knowledge required in this field. Furthermore, I love primary care as it allows me the opportunity to form meaningful, long-term relationships with patients. To keep up with current medical research, I use UpToDate and attend conferences where information is shared about new clinical insights and developments. In addition, my membership in the American College of Physicians, and the Gold Humanism Honor Society gives me access to the most current medical information. I applied for residency training here, because I believed in Kaiser Permanente’s innovative and integrated approach to delivering care to patients. I also appreciated how the organization valued and was committed to creating a healthy work environment and promoting self-care among the physicians, providers, and staff. As a result, it was evident to me that the people here are extremely happy to be a part of the Kaiser Permanente family. My philosophy of care includes building a strong and trusting relationship with my patients. I strive to give them the best care possible by getting to know them well and making them feel comfortable. I hope to create a warm and safe environment for my patients so that they can trust I will always be there to support them, especially through the difficult times. I enjoy spending time with my family, especially my husband and our lovable Boston Terrier, dancing hula, singing, finding good restaurants, eating delicious food, traveling, and learning about different cultures. My grandmother brought us to the U.S. after the war in Vietnam. It’s because of her courage that I’ve been able to pursue my dreams. I was born in Hilo and grew up in Honolulu. My brother was deaf and passed away from brain cancer at a young age. His optimism and strength inspired me to help those like him, and I thus chose a medical career. 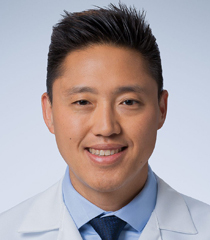 I went to Radford High School, earned my Bachelor of Science at the University of Hawaii at Manoa, and recently graduated from the University of Hawaii, John A. Burns School of Medicine. As the oldest of four children, I often accompanied my brother to his doctor visits and treatments, and I was touched by the compassion shown by his physicians and providers. Before medical school I was a nursing student and a medical assistant for an internist. These experiences led me to the internal medicine specialty. My goal is to care for the people of Hawaii as a primary care physician focusing on palliative medicine and geriatrics. Medical education and social justice are also important to me. I’ve been honored with membership in the Gold Humanism Honor Society, the Arnold P. Gold Foundation Leonard Tow Humanism in Medicine Award, the Friends of the Medical School Po’okela No’oeau Award, and the Dean’s Certificate of Distinction in Medical Education. I was co-vice president of the class of 2016, co-president of the Internal Medicine Interest Group, a board member of both the Medical Student Mentorship Program and the Howard and Dorothy McGuire Fund, and project leader of the Hawaii Outreach Medical Education Project. I’ve presented posters at the Health Professions Education Conference and the Western Group of Educational Affairs Conference on mentoring of pre-medical students and medical education. I wrote a research paper published in Nursing Forum on dietary intake of Filipinos at risk for type 2 diabetes. I keep up-to-date in medicine by reading UpToDate, DynamedPlus, the Journal of the American Medical Association, and the New England Journal of Medicine. Belonging to the American College of Physicians, the American Medical Association, the American Medical Women’s Association, and the Hawaii Medical Association also gives me access to information on the latest medical advances. As a medical student, I had a very positive experience doing a rotation with the Hawaii Permanente Medical Group (HPMG). My preceptors were excellent teachers, physicians, and examples of amazing human beings. I aspire to be like them, and I look forward to participating in the Great Aloha Run and Kaiser Permanente’s other community activities. I believe in doctor-patient relationships and compassionate, individualized care. As a doctor I empower patients to take charge of their health. I want to get to know my patients and have them know me. Building trust creates a meaningful relationship that can have a great impact on patients and doctors alike. How the physician makes a patient feel can make a big difference. To keep in shape, I hike, swim, dance, and practice yoga. I enjoy quality time with the people I love — having a meal, watching a movie, or just hanging out. I also like eating, baking, cooking, doing arts and crafts, reading fiction, listening to music, traveling and staying organized. I was born in Hong Kong, where I was raised by my grandparents. We also lived in Texas and the state of Washington before moving to Hawaii during my senior year of high school. I attended Roosevelt High School, the University of Hawaii at Manoa, and the University of Hawaii John A. Burns School of Medicine. I’m now doing a residency in internal medicine at Kaiser Permanente Hawaii. My grandparents, uncle, and aunt have all been big influences in my life. They love me deeply and have continued to believe in me and support my decisions. My interest in medicine started in high school, when I realized the importance of health in every aspect of life. By making health my highest priority—managing stress, exercising, and eating well—I experienced an increase in my efficiency, productivity, and happiness. Learning about diseases, treatments, and prevention became my passion. In my last years of medical school I loved seeing the practical applications of what I had learned earlier. Classes on congestive heart failure taught me about diuretic therapy. Pathology lectures allowed me to read blood smears. Workshops on integrative medicine helped me understand my patients' needs and give them personalized advice. In inpatient medicine I was excited each morning to see how my patients were progressing, to check new lab results, and to read new notes in their charts. My research on the effects of botulinum toxin on wrinkles was presented at a symposium on aging research and was published in Dermatologic Surgery. I also co-authored research on the role of proteins in plants that was published in Molecular Genetics and Genomics. To keep my knowledge up-to-date, I read the latest medical literature, attend conferences, and use online resources. My memberships in the American Medical Association and American College of Physicians also give me access to current recommendations and findings. In my residency at Kaiser Permanente I’ve been impressed by the entire system, including its centralized medical records and emphasis on preventive care. The atmosphere is very warm and welcoming, and I feel fortunate to be a part of this internal medicine residency program. My approach to care is to stress the importance of prevention before the need for cure comes into the picture. A healthy lifestyle is also extremely important. I enjoy meeting new patients, listening to their stories, and learning from them. I bike, run, play tennis, eat a healthy diet, and try to get an adequate amount of sleep. Taking care of animals and spending time with friends and family keeps me grounded. I especially like to try new things and keep my mind active. I was born and raised in Honolulu, Hawaii, and attended Kaiser High School in Hawaii Kai. I earned a Bachelor of Science in Biology at the University of Hawaii at Manoa, and for medical school I went to the American University of Antigua on a lovely island in the Caribbean Sea. I’m grateful to my very caring parents, who’ve supported and believed in me on my journey to becoming a physician. They’ve taught me that with hard work and dedication, you really can make your dreams come true. I love science, analytical thinking, and taking care of people, so what better profession to pursue than medicine? 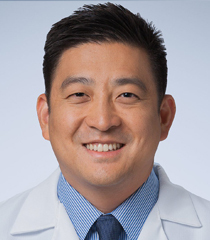 The specialty of internal medicine allows me to confront complex medical situations, see a wide range of patients, and establish meaningful long-term relationships. To stay abreast of the most current medical research, I read journal articles and use online resources such as UpToDate. Being a member of the American College of Physicians, a professional educational organization, also gives me access to information on the latest findings and treatment recommendations that I can apply to my practice. In my opinion, the Hawaii Permanente Medical Group has high-caliber providers, helpful staff, modern technology, and excellent medical care. 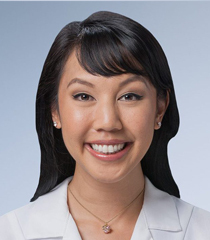 I’m excited to be part of the Kaiser Permanente Hawaii Internal Medicine Residency Program here, and I look forward to helping people in the community that I love. It’s my belief that in order to take care of others, we must always take good care of ourselves. Leading a balanced life allows me to be at my best for my patients. I look forward to listening to stories from my patients about their families, what sorts of things they enjoy doing, what concerns and beliefs they have about medical care, and what cultural influences may exist in their lives. This allows me not only to come up with treatment plans that are tailored to their individual needs, but also to get to know them on a personal level and to discover any interests that we might have in common. To stay physically and mentally fit, I eat a healthy diet and try to go for hikes in the beautiful mountains of Oahu once every week. To relax and re-charge during my time away from work, I also enjoy being with family and friends, cooking at home, playing with my dog Bentley, doing various carpentry and home improvement projects, traveling to other countries, and learning about different cultures.